Pioneer TS-A100D4 A-series sound design purposely matches the subwoofer and full-range loudspeakers to provide seamless and smooth sound characteristics with dynamic, high impact bass that lets you hear and feel the music. Linear, balanced motion in both the forward and reverse directions of cone movement is critical to accurate reproduction of recorded sound waves. 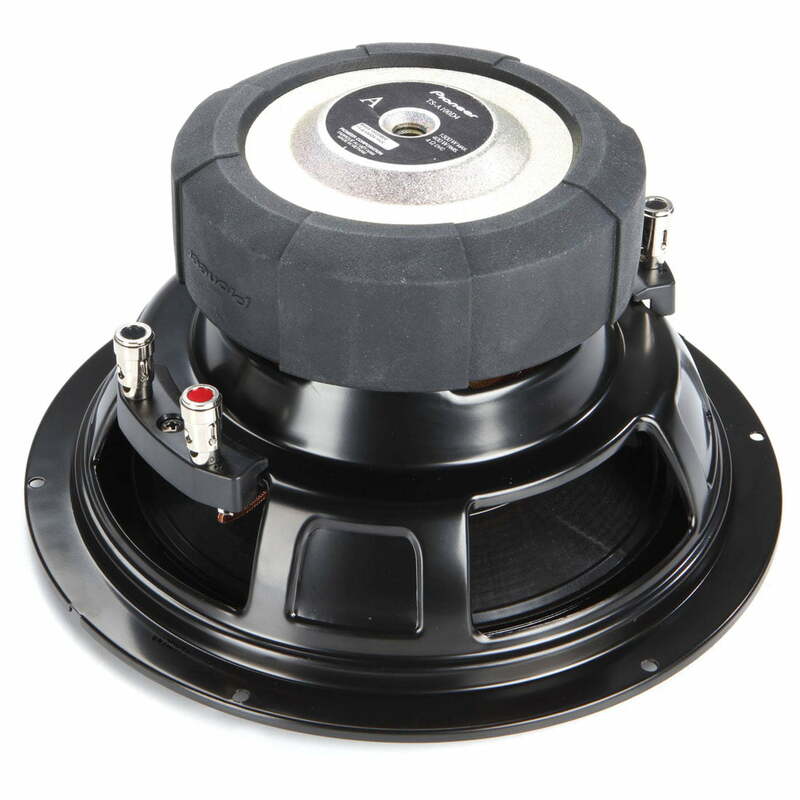 Careful engineering of the entire motor structure and suspension system (voice coil, magnet, surround and spider) is required maintain a high level of linearity, even during high output / high excursion transients. Pioneer TS-A100D4 Pioneer’s CarSoundFit app is actually a car sound simulator for experiencing in-car sound with your own smartphone. Hear the difference between original car speakers and different Pioneer audio upgrades: convince yourself of the level of quality Pioneer can offer for your vehicle. For a virtual listening demonstration of these and many other Pioneer car speakers, download the free Pioneer CarSoundFit app. 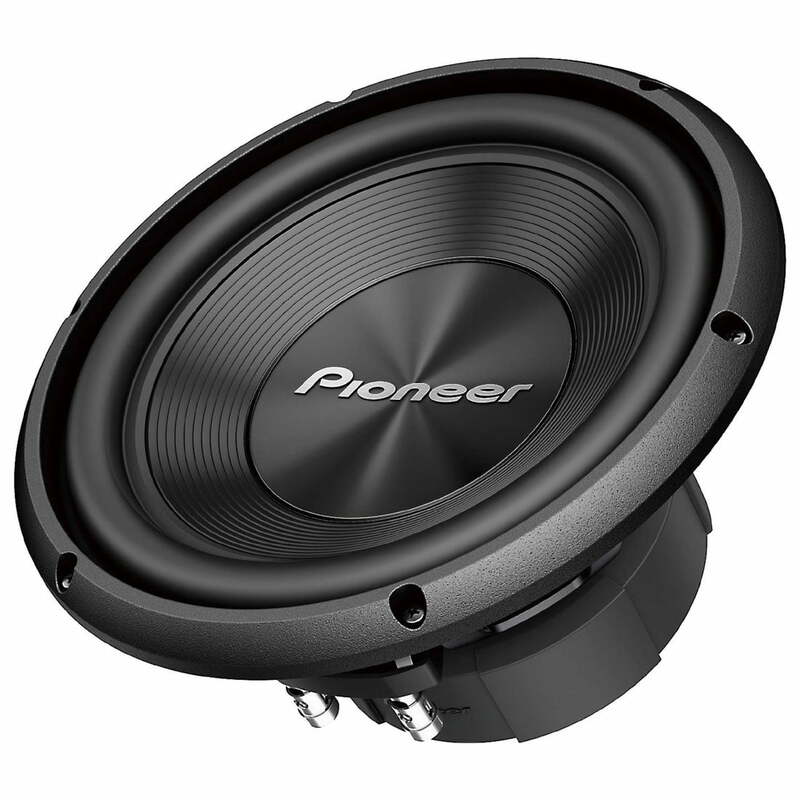 This Pioneer TS-A100D4 woofer features two 4Ω voice coils, offering wiring flexibility. 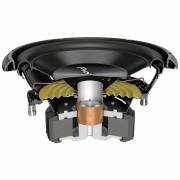 When the voice coils are wired in parallel, the woofer presents a 2Ω load; when wired in series, the woofer presents an 8Ω load. Pioneer recommends a sealed enclosure with an internal volume between 0.5 ft³ and 0.8 ft³, with an ideal volume of 0.7 ft³. Sealed enclosures provide the most control over the woofer, will handle a lot of power, and provide accurate sonic reproduction, making them suitable to all types of music. The recommended ported box volume ranges from 0.5 ft³ to 0.8 ft³, with the ideal size being 0.7 ft³, using a single 2″ diameter x 5″ long port. Ported (or vented) enclosures typically provide better overall efficiency than sealed, maximizing bass output for a given amplifier.